Floor squeaks with floor trusses. Prevention and repairs.- Armchair Builder :: Blog :: Build, renovate, & repair your own home. Save money as an owner builder. I tried calling a contractor to come look at it, but before he would even come over he said it would be minimally $200 to help, so if it is simple would love to solve this on my own. Would be eternally grateful to solve this annoying noise! Thanks for reaching out to us Ali. We know how annoying floor squeaks can be. 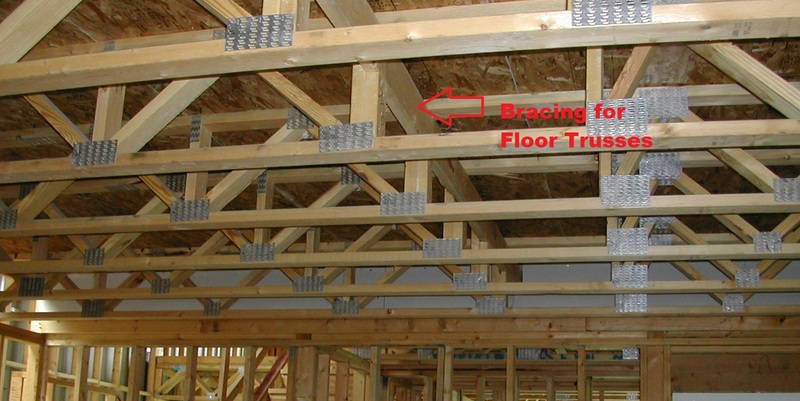 The floor framing you have is called a floor truss system. The nice thing about this framing system is it has openings to run ducts and other mechanical systems through it. This frees up space below for finishing the basement without restricting head clearance. So how do the floor trusses work? As someone walks across the floor above, the trusses flex as they support the loading or weight. This flex causes a deflection where the truss actually moves downward slightly. This movement can create noise problems if ducts come into contact with them. So if you are hearing a squeaking sound, there is a chance the wood and metal are touching. And as the truss deflects, the movement causes the metal and wood to rub against each other. This rubbing can create all kinds of different noises. One of the simplest solutions is to wedge something soft between the metal and the wood. This could be a piece of duct tape or maybe a piece of carpet padding. The idea is to prevent the two hard surfaces from contacting each other to prevent the noises. A second solution is a little more in depth and requires some skill and some tools. These floor systems are designed so that each truss is supported by the one next to it. In order to accomplish this, the carpenter installs what are called strong backs (a.k.a. bracing) that run through the openings between the truss webs. A strong back is typically a 2×6 that is installed so the long dimension is vertical. Then it is secured to each truss and runs through each truss perpendicular to the direction they run. 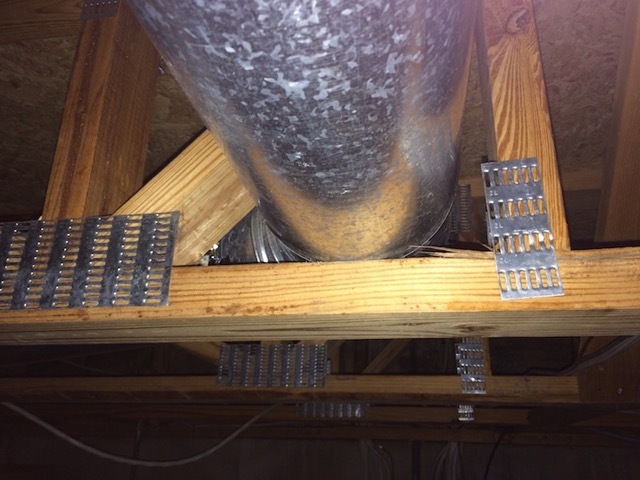 The photo at the top shows this strong back bracing installed on a floor system. So as the truss has weight put on it from above, the bracing distributes some of the weight to the adjacent trusses. So what does this have to do with a solution for floor squeaks? Well, as the new home is being built, the bracing is installed before the ducts. 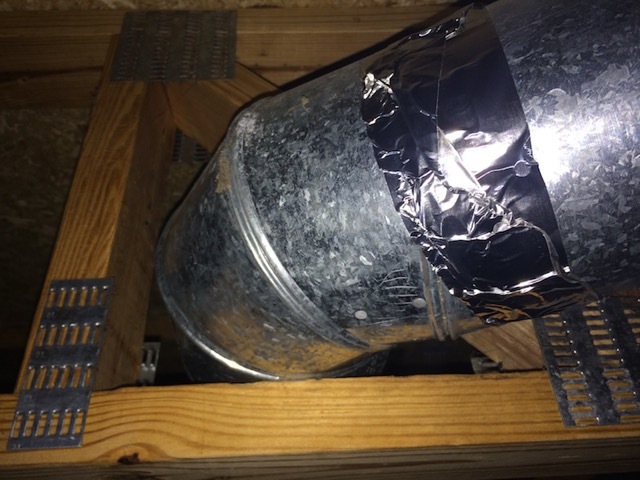 When the HVAC contractor comes along, they may cut some of the bracing in order to get the ducts installed. This can negatively affect the floor framing system, causing more defection and movement. This extra movement can cause floor squeaks and noises. So another option to address floor squeaks is to install more floor truss bracing. The idea being, the stiffer the floor, the less movement and therefore the fewer noises that will result. Another alternative to these braces are plywood gussets. Basically, pieces of plywood are cut to the same height as the truss. Then they are nailed or screwed to the sides of each truss to stiffen them up. This requires some time as the plywood will need to fit around any existing wiring or ducts or plumbing. However, it can really lessen the movement in the floor and minimize subsequent noises. We hope this helps Ali. Photos courtesy of Ali Levine.